Clotheslines for strata management. All cities. We can install your clothesline from only $109. If you are a builder, please go to clotheslines for builders. How we can help strata managers. 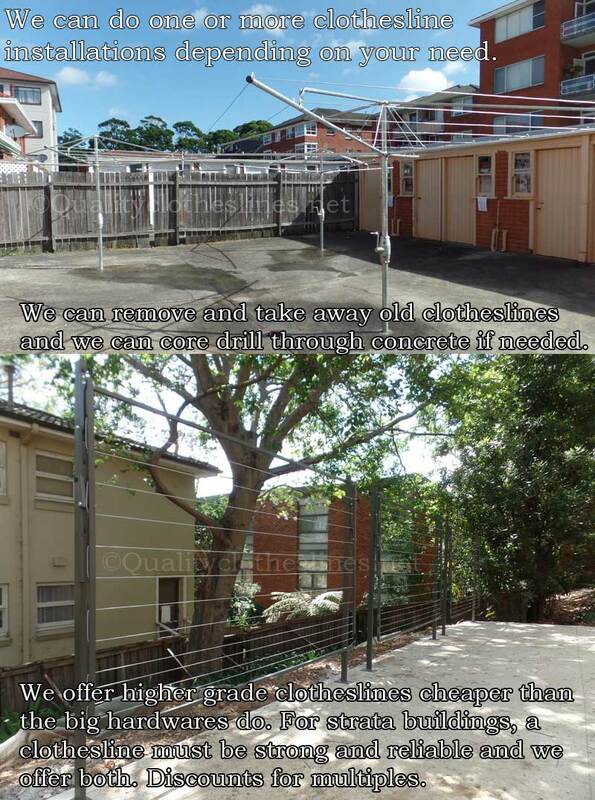 We have been installing clotheslines for strata managers for over a decade. We are insured and are a PTY LTD company. We offer installations at a rate that is competitive. We also offer discounts for multiples. We can remove and dispose of any old clotheslines already on the premises. We can core drill though existing concrete if needed and we leave the area clean and tidy when we are finished. Please call us on 0412 818 078 or contact us.